WoW Petopia Community • View topic - Can hunters get Thunderfury now? Can hunters get Thunderfury now? Post subject: Can hunters get Thunderfury now? 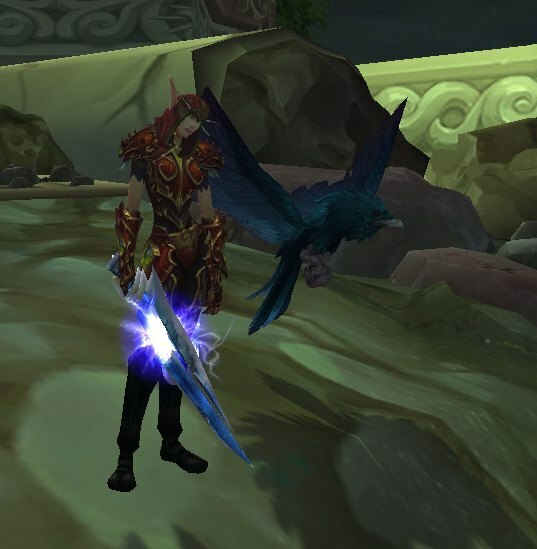 With hunters able to hold swords in any of our specs is it now possible for us to get the bindings from Molten Core and start the quest chain to get Thunderfury I checked Wowhead but those comments don't mention hunters at all. If possible how bad is the drop rate and has anyone attempted this lately on a hunter. Post subject: Re: Can hunters get Thunderfury now? It is possible, yes, and was possible before as well. I got mine sometime in Pandaria, I believe. As far as drop rate goes, the best answer is RNG. It is not too horrible, but between having to pick two different Bindings and in general not being able to predict a number of runs it might take, it can be quite a long haul. On my Shaman, I got both bindings two times before I got the Eye of Sulfuras, though. EDIT: Just for some statistics, I have 27 Ragnaros kills on my Huntress. However, I didn't kill him every single time after killing Geddon and Charr, so I'd say it took me about 50 runs. Thank you for letting me know I can get the drops on my hunter main but now am wondering is it possible to get the Warglaive of Azzinoth dropped from Illidan I know they are swords but doesn't say if we hunters can use them. I can't say for sure "now" but hunters certainly were eligible "back then." I've had Thunderfury on my hunter since WOTLK. Hunters cannot use the Warglaives, they are class restricted and hunters are not on the list. Yes I have it in my bank and the hammer too but can't equip it...you can technically get them all but just can't use them (correct me if that's wrong though). I don't believe you can get ICC, Firelands, or Dragon Soul legendaries on a hunter due to those quests being class limited. Where would that put Thunderfury since it is a drop in Molten Core that starts it? The 'parts' don't have class restrictions on them - so the two bindings and the core for the hammer anyone can get and "make" but you just can't equip if you can't use that item. The newer legendaries (ie post BC) the quests themselves have class restrictions so anyone can collect the bits of the Ulduar hammer for example but you can't "make" it unless you can actually equip it. Oh ok I understand now thank you so much for explaining it to me and helping.